While there are lots of materials available for a deck, the ultimate material you should consider when designing a deck for your Vancouver home is vinyl. Vinyl, or Polyvinyl Chloride, is a synthetic plastic made from ethylene and chlorine, and its durability and versatility is unmatched by any other material. The bonus is that vinyl is incredibly affordable, making it perfect for new families designing their first deck! Only if you use vinyl can you design the ultimate deck for your Vancouver home. Read on for three reasons why designing vinyl deck can be perfect for you and your family. The great thing about vinyl is that it is incredibly versatile, meaning you can design a vinyl deck that matches your unique taste. Unlike cedar or composites, vinyl comes in a variety of colors and patterns. Vinyl can be made to resemble ceramic, hardwood or stone. Only with vinyl is it possible for homeowners to get the look they have always wanted at a price that is affordable. The variety vinyl offers means you have incredible choice and flexibility when it comes to your deck’s design. In addition to being able to design the ultimate deck in terms of how it looks, vinyl is also the ultimate material for a family deck. Vinyl is one of the safest materials out there for a deck. Because it is a synthetic plastic, you don’t need to worry about injuries from nails that stick out of deck boards or splinters. 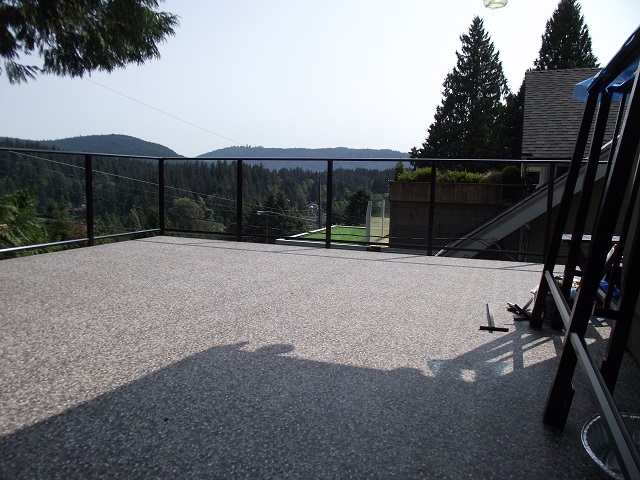 Vinyl is also the ultimate material for the Vancouver family because it is completely slip-resistant. After a rainy winter day, kids will be able to run around on the vinyl deck without the risk of slipping and falling. A vinyl deck just doesn’t pose the same hazards to a family, making it the perfect material for designing your ultimate deck. If you are designing the ultimate deck for your Vancouver home, know that a vinyl deck is extremely long lasting and won’t require lots of effort to maintain. Vinyl decks are incredibly resistant to moisture and humidity, making them perfect for Vancouver, as they won’t crack, decay or get moldy. Additionally vinyl decks aren’t targeted by insects, they are resistant to the effects of weathering, and they will last at least forty years. The material is incredibly low maintenance, as it doesn’t require expensive sealant and can simply be wiped down if it gets messy. 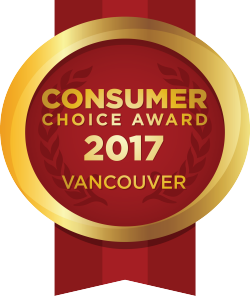 If you are looking to design the ultimate deck for your Vancouver home, look no further than vinyl. Vinyl is flexible and you’ll be able to design your ultimate deck. You have your pick when it comes to color or pattern, and it is perfect for families. Not only do vinyl’s properties, such as slip-resistance and low maintenance, make it perfect for young families but its durability means your ultimate deck will last decades longer than cedar or composite decks. If you want the ultimate deck for your Vancouver home, design a vinyl deck!